Blauwe House of Marie Cupcake Cups IJskristal Blauw (Frozen) 50x33mm. 50st. Groene House of Marie Cupcake Cups Chevron Mint Groen 50x33mm. 50st. Groene House of Marie Cupcake Cups MINI Mint Groen 35x23mm. 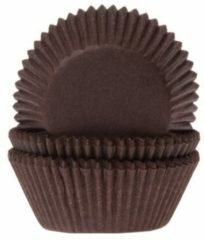 60 st.
Bruine House of Marie Cupcake Cups MINI Bruin 35x23mm. 60 st.
House of Marie Cupcake Cups Vlag NL 50x33mm. 50 st.
Witte House of Marie Cupcake Cups MINI Wit 35x23mm. 60st. Rode House of Marie Cupcake Cups MINI Dieprood 35x23mm. 50st. Groene House of Marie Cupcake Cups Lime Groen 50x33mm. 50 st.
Groene House of Marie Cupcake Cups Madelief 50x33mm. 50st. House of Marie Cupcake Cups MINI Licht Roze 35x23mm. 60st. 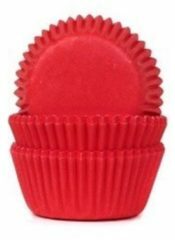 Zwarte House of Marie Cupcake Cups Boerenbont Ruit Zwart 50x33mm. 50st. House of Marie Cupcake Cups Folie Oranje 51x28mm. 24st. Blauwe House of Marie Cupcake Cups Boerenbont Ruit Blauw 50x33mm. 50st. Bruine House of Marie Cupcake Cups Bruin 50x33mm. 50 st.
House of Marie Cupcake Cups Tulp Lila 50x45mm. 50st. 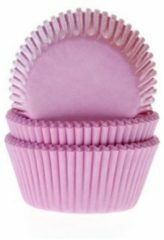 House of Marie Cupcake Cups Licht Roze 50x33mm. 50st. Blauwe House of Marie Cupcake Cups Folie Baby Blauw 51x28mm. 24st. House of Marie Cupcake Cups MINI Oranje 35x23mm. 50st. Witte House of Marie Cupcake Cups Wit met Stip 50x33mm. 50st. Witte House of Marie Cupcake Cups Confetti 50x33mm. 50st. House of Marie Cupcake Cups Lila 50x33mm. 50st. Rode House of Marie Cupcake Cups Harlequino Rood 50x33mm. 50st.